Seriously? You think that is the reason it is not coming? Even that new R.B.I. 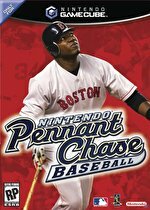 Baseball isn't coming to Wii U. That means the only new sports games on Nintendo systems have Mario in the title.